Do you like The Explosive Squad 2? Share it with your friends. 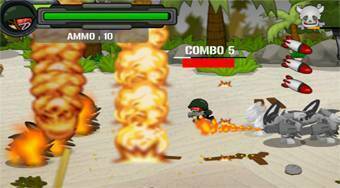 The Explosive Squad 2 - playing a role of a soldier pass through game the field and kill all robotic enemies.